Paytm – Accept 10 Payments using QR Code and Get Rs 200 Paytm Cash (Merchants only), Paytm Merchant offer. 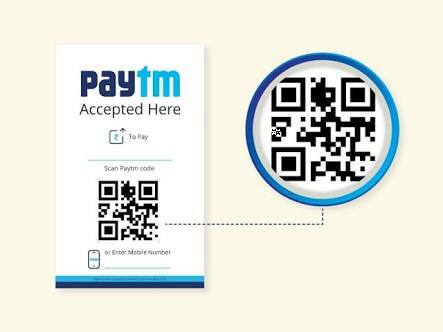 Accept 10 Payment through QR Code and Get flat Rs 200 Paytm Cash absolutely Free. Offer is valid for selected merchants registered with Paytm to whom offer has been communicated through SMS. This offer is for merchants and not customers. So Hurry up !! 3) Login your Merchant account in that merchant account from where you have received communicated through SMS. 4) Accept 5 Payments and Get Rs 100 Paytm cash. 5) Accept 5 payments more and Get Rs 100 Paytm Cash more. 1) This offer is for merchants and not customers. 2) Offer is valid for selected merchants registered with Paytm to whom offer has been communicated through SMS. 3) Offer is valid on payments accepted using Paytm QR Code or Paytm registered mobile number of the merchant during the Offer Period. 4) Maximum Paytm cash is Rs 200. 5) Merchant will receive Rs 100 Paytm cash for accepting 5 payments and Rs 100 Paytm cash for accepting 5 more payments. 6) Amount of each of the 10 payments accepted should be Rs 20 or more to be considered for this offer. 7) Only payments done by different customers shall be considered. 8) Merchant who has got Paytm Cash once, will not be eligible to get it again in this offer. 10) Participation in this campaign is valid from 1st November 00:01 till 4th December 2017 23:59 hours.